A week or two ago I found Jerry Baker’s Giant Book of Kitchen Counter Cures at a library book sale. I snapped it up. I turned fifty-nine this month, and although I have always eaten well, I want to consider my future health when I buy and prepare food; I know I can do better. 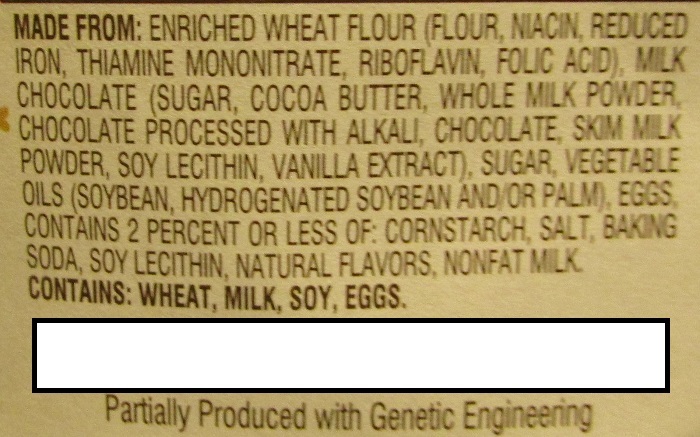 In plainer terms this usually means an ingredient in the product contains a modified food or GMO. How did these modern-day horrors slip into our food with most of the public unaware? They should have been banned. 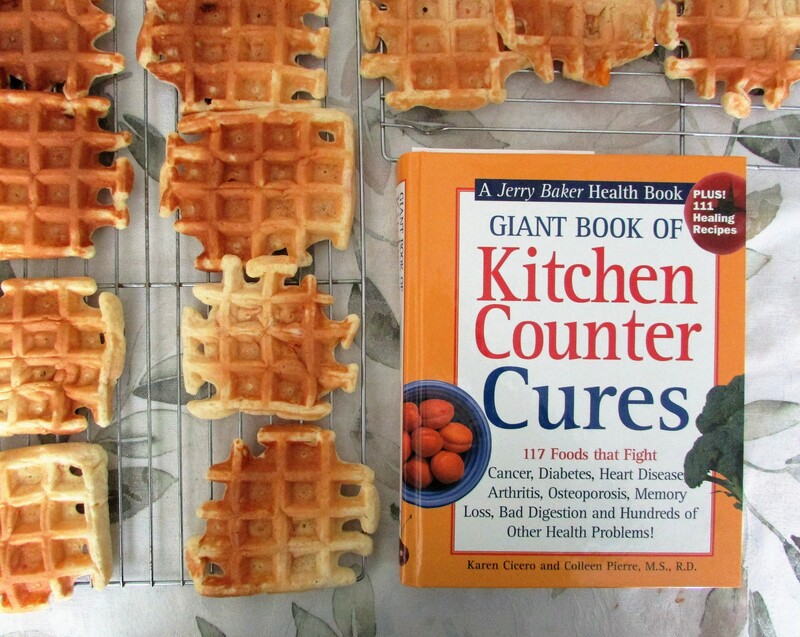 In hopes of making more food from scratch I took a look at the recipe for apricot waffles in the book, adapted the ingredients to make better use of what I had in my pantry, and made a batch of 12 -18 waffles (Amount depends on how full you fill the waffle iron.) For a quick nutrition bump-up on a day when you are in a hurry, add 1/2 can of chopped apricots to your pancake and waffle mix before cooking. Add to dry ingredients and mix. Gently fold in chopped apricots. Follow directions for your waffle iron. I think this batter would probably make good pancakes too. ENJOY! * Use the same amount of milk with a tablespoon of vinegar added. Mix these two ingredients together and let them sit for five minutes before using in the recipe. I know, I know, canned apricots may be contaminated by ingredients leaching out of the can, enriched flour is loaded with no-no’s, and sugar is deadly…but hey, at least I am eating a food high in natural beta-carotene. I’m also trying to make inroads to finding flour, sugar and other products I cook and bake with in a more natural/organic form. Jerry Baker’s Blog is filled with health advice, seasonal tips, recipes and garden hints. A terrific blog to visit and browse. I am going to make this recipe; I will repost when I send it in the kids’ lunch! Great! Let me know how they turn out. My husband is a picky eater and he LOVED them.